This Belleek teapot is the Neptune kettle. 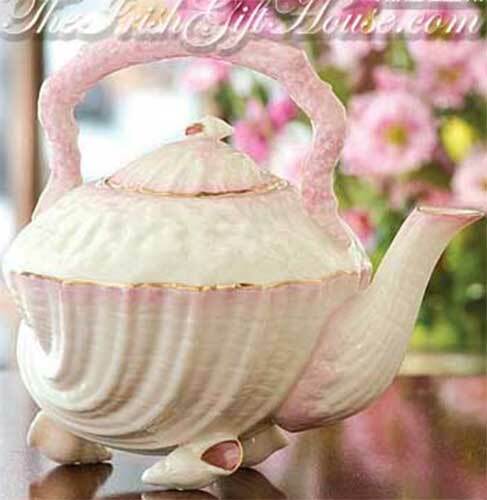 The Belleek Neptune tea kettle is part of the archival collection and features hues of pink along with a seashell motif that includes seashell feet. The Belleek teapot stands 7" tall and is made of fine china. This Irish teapot is hand crafted and hand painted in Belleek, Ireland and is gift boxed, complements of The Irish Gift House.